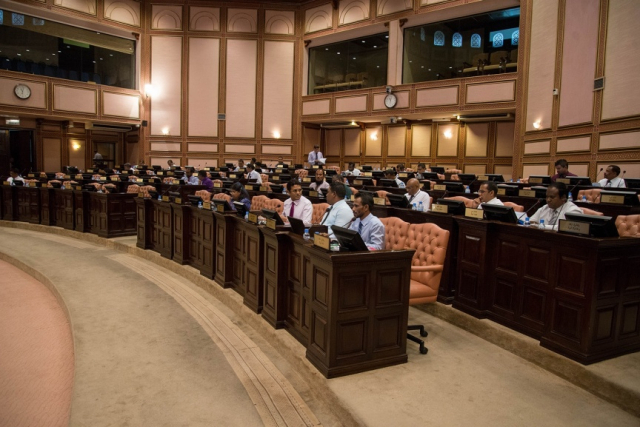 The People’s Majlis is scheduled to hold a special meeting coming Monday. The People’s Majlis Secretariat reports the meeting will begin at 9 am. The Majlis Secretariat has not disclosed any details regarding the meeting. And stated only that the agenda will be disclosed to MPs after it is uploaded to the Secretariat’s website. The announcement for a special Majlis meeting comes as the 15-day State of Emergency draws to a close. The State of Emergency was invoked on February 5, and will end on Tuesday, February 20. The opening of the Majlis for the year 2018, scheduled for February 5, was cancelled for security reasons amid the political turmoil. It’s likely Monday’s special meeting is to make a decision regarding the State of Emergency.